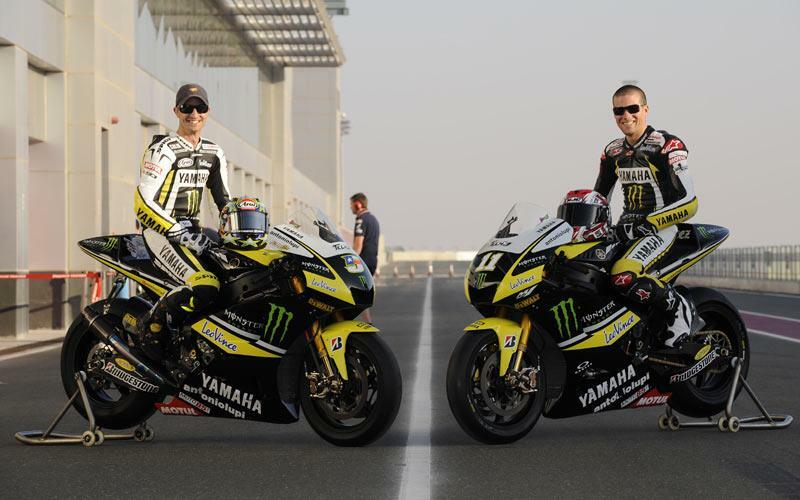 Monster Yamaha Tech 3 boss Herve Poncharal reckons his 2010 all-American squad featuring Colin Edwards and Ben Spies is the strongest he’s ever fielded. The French team boss is confident of another successful season having seen Texan duo Edwards and Spies play leading roles in a shortened winter testing campaign. Reigning World Superbike champion Spies continued his brilliant switch to a Yamaha YZR-M1 800cc machine in Qatar last week when he clocked the fourth best time overall. Double World Superbike champion Edwards has also had a hugely positive and productive pre-season, regularly riding his Monster Yamaha Tech 3 machine into the top five. Last season Edwards claimed fifth place in the final standings to finish leading rider by the outstanding quartet featuring Valentino Rossi, Casey Stoner, Jorge Lorenzo and Dani Pedrosa. And Tech 3 secured fourth place in the all-important team championship. Poncharal said his French-based squad had never been in a stronger position going into a new season and he said: “I think the 2010 Monster Yamaha Tech 3 line-up is the strongest ever. I’m very proud to have one more season with Colin. He was fifth in the championship last season and the first rider from an independent team.